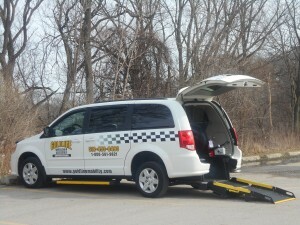 Wheelchair accessible taxi conversions are a Goldline specialty. Taxi companies in London, Sarnia, Windsor and across Canada rely on the durability of Goldline’s professional manufacturing and mobility van conversion services. With each Taxi Conversion, our attention to detail is second to none. For rugged every day use, choose Goldline Mobility & Conversions to provide the quality that you can depend on. 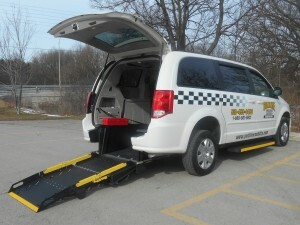 We provide wheelchair accessible taxi conversions on late model Dodge Grand Caravans and Toyota Siennas. If you have a different model of van in mind, please contact us with the specifications and we will determine if a conversion is available. We have Late Model vans In Stock ready to put In Service, or to be Converted. Please check our For Sale Inventory, and contact us today for further information. Click here to view and print the Wheelchair Accessible Taxi Brochure.